Wilkie Collins’s Count Fosco and Vyasa’s Sengkuni or Sangkuni have many hateful yet agile traits one can relate and learn. Written in centuries apart, “Mahābhārata” and “The Woman in White” captivate me with the inserting of Sengkuni and Count Fosco. I detest each of them but I can’t deny I learn so much from their cunning. I haven’t read “Mahābhārata” honestly. I only watched the Indian epic masterpiece when was I a little kid. Regularly watching the show was more than sufficient to have put Sengkuni as an unforgettable antagonist in my whole life. I heard him as reference when my father and his brother were referring to national prominent politician from New Order (I didn’t mention his name here, by the way). After I watched the series, I couldn’t agree more. Sengkuni was best remembered because of his sly tactics for making his 100 nephews known as Korawa defeating their five cousins called Pandawa. Sengkuni was manipulative, provocative person who ignited hatred in the hearts of the Korawa people, especially Duryodana. His resentment toward Pandawa stemmed from his objection when his father accepted a marriage proposal for his sister, Gandari, from Dretarastra, a blind, kind-hearted prince from Hastinapura kingdom. Sengkuni, who was actually a prince from Gandhara empire, wished his sister would have married with Dretarastra’s brother, Pandu. 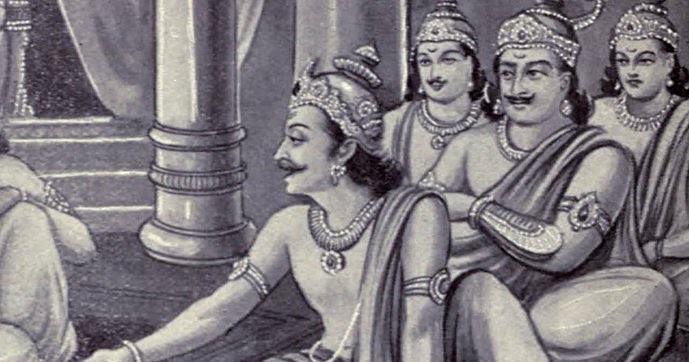 Pandu was the father of Pandawa whereas Dretarastra was the father of Korawa. Despite the two’s good relationship, their sons were fighting for possessing Kuru empire with Sengkuni as the mastermind. Their story is known as Mahabharata. Count Fosco or Isidor Ottavio Baldassare Fosco was not a layman. Count (male)/ Countess (female) or Conte in Italian language refers to a title in European countries for a noble of varying status, but historically deemed to convey an approximate rank intermediate between the highest and lowest titles of nobility, according to Pine, L.G. Titles: How the King Became His Majesty. New York: Barnes & Noble, 1992. P. 73. OCLC 27827106. Personally, Count Fosco is like some types of people that I know in my life. They have certain attitudes that make them looking like noble people on the surface. The way they talk, how they treat others are different from common people. They know how to keep their tongues in check even when they are in debts or other huge problems. I call them as those who are enslaved to creating good images. Such is what I learn from Count Fosco. He was in dire need of money but he was not looking as desperate person. He maintained his good humor sense, greeted strangers, and treated people nicely. He didn’t let others know what trouble he was in because that would taint his noble status. This what made Marian Halcombe firstly liked him. After she knew him a little bit longer, she found out who this man truly was. Her realization that Count Fosco was reading her mind and studying her behavior frightened her. This what made the protagonist was very careful in dealing with him. Unlike Laura Fairlie who was frontally disliking him, Mariam was more patient because she knew she must be resourceful and intelligent to get over him. In addition to his observing nature, Count Fosco was good-tempered person, especially for those who were against his wishes, such as Mariam Halcombe and Laura Fairlie. He knew how to differently handle the two given their traits. Count Fosco was also persistent when it came to reaching his goals. Here, he carefully executed his plans of taking over 21,000 pounds belonging to Laura Fairlie through very well-planned timeline. He knew very well that good strategy wasn’t enough. There required patience to let things rolling on as he planned them, the trait that wasn’t possessed by Sir Percival Glyde. Count Fosco and Sengkuni were top “brain washers”. While Count Sengkuni consistently whispered devilish words to the Korawa people, Count Fosco did the same thing for his wife, Madame Fosco, who was actually Laura’s aunt. She was so obedient to her husband that she worshipped him like a god. Count Fosco “guided” Sir Percival Glyde, his close friend, in their goals of getting the money. Walter Hartright could have toppled him with just one strong blow. And I wished he did that because I really, completely detested Count Fosco. Of course, Wilkie Collins didn’t opt for that. Further legal consequence might emerge for Walter Hartright. Marian Halcombe’s descriptions became Walter Hartright’s weapons when confronting him in his rented room before he went away to Paris. Much like Marian Halcombe, Walter Hartright was patient and clever. On top of that, his sincerity guided this man to smoothly deal with Count Fosco. Walter Hartright fully understood he had to be very well-spoken to confront a manipulative person like Count Fosco. As Walter Hartright didn’t have legal supports for proving Count Fosco’s wrongdoings, Wilkie Collins remarkably ended the life of Count Fosco. He was killed by unknown people from his past, politically related, in a strange land (Paris) then surrounded by Parisians in a public place. Count Fosco’s life was eventually very much disgraced. 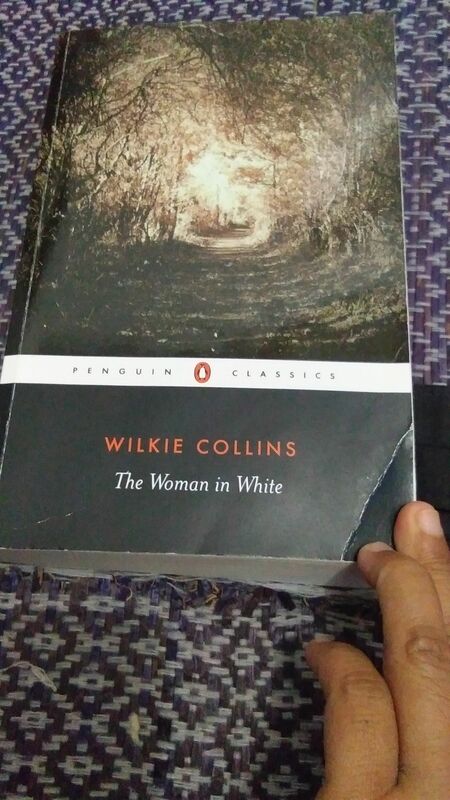 Wilkie Collins executes heap of secrets very well to deliver his messages on gender equality, marital issue and moral decay in “The Woman in White”. With the secrets, he successfully drove me to complete the 619 pages long within eight days despite fairly difficult language, political background in Italy and legal affairs at the Victorian Era in the 19th century. Mind you, I didn’t Google what was happening in the Pizza Country back then. I also didn’t stop reading “The Woman in White” for further seeking information on inheritance division amongst heirs in elite class in the UK in the century. Doing so would probably cast me away from thoroughly enjoying the book. What a justification to say that I was too lazy for doing those things, LOL! Anne Catherick alias the woman in white triggered the whole grand secret in the book which was Sir Percival Glyde as an illegal son of his parents, Sir Felix Glyde and Cecilia Jane Ester because the two had never been married. All the wealth that Sir Percival Glyde possessed was taken out from one of his distant relatives who never returned to the UK. 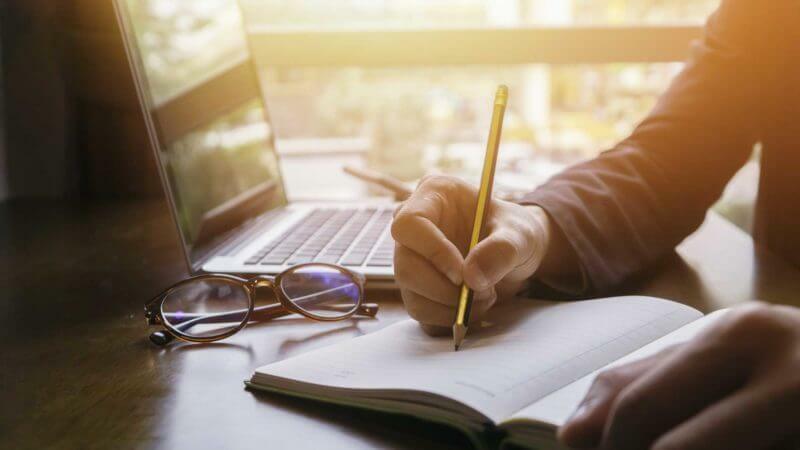 He took over his relative’s resources by issuing his birth certificate (which was an easy task) and forging the marriage date of his parents. The second method required him to approach and shower Anne Catherick’s mother with gold and jewelries. Sir Percival Glyde was secretly contacting Mrs. Catherick for his interest because her husband was a clergyman. Lured by the gifts, Mrs. Catherick took a key to a vestry where which her husband worked, at Old Welmingham. There, he did the crime then put Mrs. Catherick to blame by the locals because they believed she was unfaithful wife for having an affair with Sir Percival Glyde. To this consequence, Sir Percival Glyde ordered Mrs. Catherick to keep the secret. In exchange, he was giving her money, putting her under observation so that she wouldn’t tell the secret. Old Welmingham was chosen to “imprison her” because as Walter Hartright later said, the district was showing what moral decay of human beings looked like. The residents didn’t care with what wrong deeds Mrs. Catherick did in the past as long as she donated her money. So, it wasn’t without any reasons that she was staying in the district because she believed her neighbors would only care on her money. All through years, the secret was safe until Anne Catherick heard one of their conversations. Anne, who was born with mental illness, threatened that she would tell the truth. This later caused Sir Percival Glyde to have placed her in a private asylum. One midnight, she managed to have escaped from the asylum then met with Walter Hartright on his way back to his rented room in London. Coincidentally, Walter Hartright would teach Marian Halcombe and Laura Fairlie the day after that hence the weird meeting was driving his curiosity by the time he encountered with Marian Halcombe. His questions about this woman in white got bigger when Marian told him one of his mother’s letter mentioning Anne. The late Mrs. Fairlie said she was fond of Anne despite her mental illness. Then, she gave her white cloths that Anne was wearing throughout her life, gaining her as “the woman in white”. Reading Mrs. Fairlie’s statements that Anne was resembling Laura Fairlie got me suspicious on her true identity. Later, it was true that Anne was actually Laura Fairlie’s half-sister! She was the illegal daughter of Mr. Phillips Fairlie and Mrs. Catherick back then. Another issue on illegitimate children! Walter Hartright and Marian Halcombe are two “scissors” to peel the layers out. While Marian Halcombe was sacrificing her life for Laure Fairlie, Walter Hartright was risking his life for truth. I am personally captivated by the two thanks to the author’s ideas of making them super brave, resourceful and patient. I myself salute Marian’s love for Laura that although they were not connected by blood, Marian was doing her utmost to have saved Laura’s life from her wicked husband, Sir Percival Glyde. Some memorable scenes were when she banged the door of Mr. Frederick Fairlie’s room after she told him that Laura agreed to marry Sir Percival Glyde because she was afraid of tainting her family’s good image. Mr. Frederick Fairlie was Laura’s uncle who was insensitive, arrogant and annoying. He was underestimating women’ rights when he didn’t wish to deliberate Laura’s inheritance division with the family lawyer, Mr. Gilmore. This issue later created future problem between Laura or Lady Glyde with her husband. Of course, the most notable scene I would always remember was when heavy rainfall was pouring down her body as she was listening to all secrets between Sir Percival Glyde and Count Fosco. She was carefully placing herself in the spot where which she was able to find out what motivated them torturing her half-sister. As a result, she was sick so bad. Sir Percival Glyde and Count Fosco was badly needing money, one of the reasons was because Sir Percival Glyde was in huge debt. He then required Lady Glyde’s signature to get access to 21,000 pounds she was possessing then divide it with his best friend. But Lady Glyde didn’t wish to do this unless her husband tells him the purpose of the request. This stirred his anger, opened his real motive of marrying her that was because of her wealth. The two arranged strategies to obtain the money, which they did eventually. They lied to Anne Catherick, to Lady Glyde while Marian was in her sickness. Anne’s heart disease cost her death, which was falsified into Laura Fairlie’s given their physical resemblance. As Anne was buried, Laura was instead put in the asylum. When things looking bright, their unanticipated enemy returned from Honduras, Walter Hartright. Walter Hartright was coming back to the UK braver than ever. It was his courage that brought him to have chased after the woman in white. It was also his bravery that led him to unravel cruelties did by Sir Percival Glyde and Count Fosco. I really admire Wilkie Collins’s showing readers, well me at least, how sincere motive and bravery can encourage us to do so many good deeds later on. Add to that is intelligence. Then our contribution can go wildly. Walter Hartright utilized his sincerity, intelligence and politeness to meet, inquire and even ask for helps from people whom he only knew by hearsay. It wasn’t an easy thing to do when he needed to meet Mrs. Clements for knowing who was Mrs. Catherick. It was even more difficult when he must speak to Mrs. Catherick herself. With spies hired by Sir Percival Glyde and Count Fosco following him, Walter Hartright was a heroic character I will never forget. I almost sunk into disappointment when Wilkie Collins opted to end the life of Sir Percival Glyde through fire. I wished Walter Hartright would kill him or drag him into a prison. I also expected the same thing for Count Fosco. But then I told to myself the expectations would create another problem. Walter Hartright might be put into a prison if he killed one of them or both of all. In addition, Walter Hartright didn’t have sufficient to bring him before a court. What he sufficiently had was evidence to clear up Laura’s reputation as a living human being. It was later understandable that Wilkie Collins instead selected the two villains were dead because of their own deeds. A fire burned the vestry where which Sir Percival Glyde was trying to destroy the falsified marriage certificate and Count Fosco was killed by unknown party from his past. The ending reveals the same message: cruel people will get their deeds repaid in much more improper ways. “The Woman in White” is divided into three epochs. Several narrators tell the thick fiction as you can find in “The Moonstone”. This method encourages readers, at least I, to switch my perspective each time the narration is told by different character. Failing to do this may have put me in unfair stance. I almost failed to differentiate when Count Fosco took the pen from Marian Halcombe when she was falling ill. After many pages she was controlling my thought, it was shocking that Mr. Collins instead to have chosen the Count who was in charge of the story. Here, my job as an objective reader was best tested. As much as I sympathized with Marian Halcombe’s courage and good deeds for her half-sister, Laura Fairlie, I needed to have understood on my roles as good reader. This means I needed to absorb each and every character here so that I would get overall messages and felt all atmospheres. In this regard, I needed to read the minds of the protagonists, the Count was one of them. The second aspect that require high focus in reading the book is that Mr. Collins chooses back-and-forth pattern. If readers don’t get themselves engaged in the fiction, they will get lost on plentiful detailed clues Mr. Collins offers about the woman in white or following mysteries after her appearance. Failing to do all of that will make readers won’t feel stingy sensation the novel has that earns it the first sensation novel. Mr. Collins really fascinates me with his way of foreshadowing. He puts small things that don’t only invite readers hard to put it down but also key to grand secret in the book. Who would have thought that the blank page of the marriage registry at Old Welmingham’s vestry was the disclosed point of Sir Percival Glyde’s forgery? Who would have guessed that the date of Laura Fairlie’s leaving the Blackwater Park would disclose her status as a living human being, not Anne Catherick? To add the already complicated plot, Mr. Collins places spies here and there. Since the coming of Anne Catherick in the Limmeredge House and the surrounding, I felt like the lives of each of the character were being watched. Anne Catherick was watching over the life of Laura Fairlie for good reasons, fortunately. Walter Hartright was being watched by people from Sir Percival Glyde and the Count. Mariam Halcombe was under radar of the Count and Madame Fosco in the Blackwater Park. Almost each character was playing as a spy for another character. Suspicious gestures, unusual habits were enough clues to have stirred for spying. With those methods in his mind, Mr. Collins utilizes them all to have weaved his messages in such smooth, wonderful and unexpected ways I could have never imagined. Moral decay, scandal, wounds from the past, feminism, inter-class romance are some that he conveys in the fiction. You won’t find them new, of course. But the way Mr. Collins presenting them all will make you viewing the themes in refreshed, unique lights. I had intended to write my second part of “The Woman in White” reading process in this blog after I did the first one. But before I had typed this second part, I completed reading the novel two days ago. As many as 619 pages were done in seven days. I read about 90 pages per day. Call me a mad reader because I believed so. The book was driving me crazy.. in many good ways I had never thought it would be capable of. I don’t want to boast on the number of the pages I read in this blog post. I strongly believe there are a lot of, a lot of bookworms out there who are crazier than I am when it comes to speed reading. I will only speed up when I have a good novel in my hands. When a book isn’t that challenging, I will drag myself to even finish it. So, needless to say here that “The Woman in White” is indeed good, very, super incredible one that you need to try reading it, especially if you love sensational stories or mysterious fictions. “The Woman in White” isn’t an easy book. I thought it would be around the riddle of who the woman in white was. In this regard, I had thought the key of the story would be who was Anne Catherick by the end of the very lengthy book. I was deceived. The name and the background of the woman was revealed much earlier that I had expected. Her appearance stimulated overall secret within the lives of the major characters in the book. Like a snowball, the first riddle led to grander mysteries than I could have never imagined. With the whereabouts of the woman in white became the entry matter that triggered my curiosity, I read the book page per page. 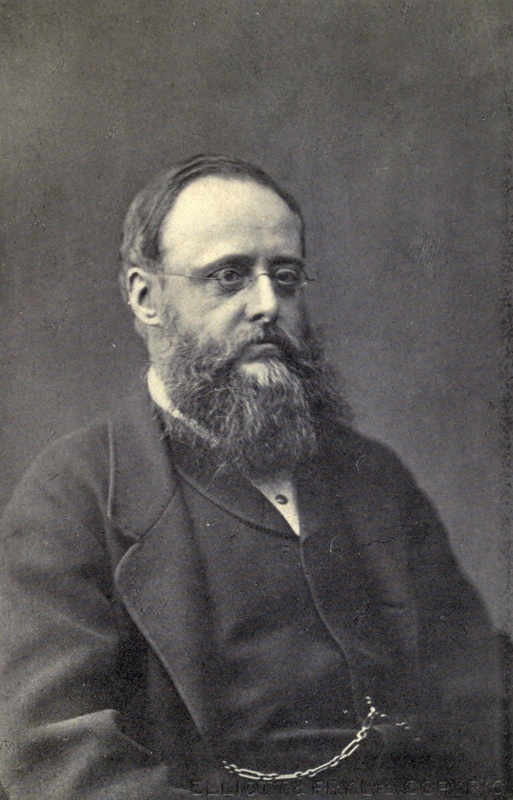 I was enjoying the superb writing talent of Wilkie Collins, the author of the novel. As a Victorian writer, he didn’t forget to describe people, scene, scenery, movement of time and character in beautiful, wonderful language that captivated me as a hard fan of imaginative stories. I made use of my available time to have resumed reading the book. As the mystery had strongly stirred my curiosity with the amazing writing style, I didn’t want to miss a day not reading the book. I kept working as usual. Thankfully, I finished a book writing project on-time. In between the writing job, I spent reading the book. I still managed to have gone to bed before 12 a.m and woke up feeling fresh and healthy to yes, reading the novel again. The key of completing the book so quickly while deeply connected with every single sensation of the story is that I was attempting to have put my mind at its best concentration even after I closed the book for that day. In some nights before I went to sleep, I talked to myself on possible ending of the story and the answer for the puzzles. As crazy as that sounds, the method assisted me to have engaged with the plot and made me so excited for the next day’s reading. To this, I owe so much to Mr. Collins. Enjoying this brain exercise brought me a qualified pleasure. Given my ability to have controlled the fondness of the book, I was enjoying it proportionately despite the fact of the 90 pages per day. In addition to have been curious on the first mystery, my brain worked at the hardest to have guessed what this and that clue scattered in the whole story. Later on, the guidance led to something bigger, terrible that made up the big themes here. For instance, the anonymous letter by Anne to Laura Fairlie that warned the latter on her future husband Sir Percival Glyde at the start of the book. What makes this exercise even more complicated is that I needed to have guessed what were laying beneath the expressions of some characters. Mr. Collins gave hidden clues through facial and verbal expressions that if we didn’t pay attention enough, we wouldn’t catch sensational, thrilling tones of the book let alone understood what did they contribute to the whole ideas. I would like to take Count Fosco as best example for this regard. I remember very much when Marian Halcombe said in her diary how she liked him the very first time she met before she loathed him very much later on. Marian said that Count Fosco was very clever in amusing strangers, talkative and very friendly. This is later proven by Walter Hartright as the story draws to a close. Walter said the Count greeted store keepers in his route to an opera for buying a ticket. The Count was humming to himself, knowing to entertain himself thus he looked like a 40-year old man instead of his actual 60 years old. I would later discuss on the Count in another blog post. Facial expressions were playing big roles in the book because this aspect, as a matter of fact, had been deceitful. This time around, I take Sir Percival Glyde as an example. Marian Halcombe thought she had best reasons to let Walter ended his teaching term earlier as he was known to have loved Laura while she was engaged to Sir Percival Glyde. For Marian, Laura’s fiancee was a respected, honorable man. And I felt that too when reading his response and his behavior, particularly when Laura told him he didn’t want to marry him. Sir Percival Glyde didn’t get angry, curse or whatsoever. He took the ill news wisely. Here, as a reader, I thought Laura would learn to love him because I thought Sir Percival Glyde was a good person who was worthy of loving back. But I was deceived as his true attitude was revealed during the six-month honeymoon in Italy. I would like to write more but I am afraid the post would be very long to read. I end it here and I hope you still want to read other posts about the book.